Matt Barber addressing "sexual anarchy" at the National Press Club in 2015. 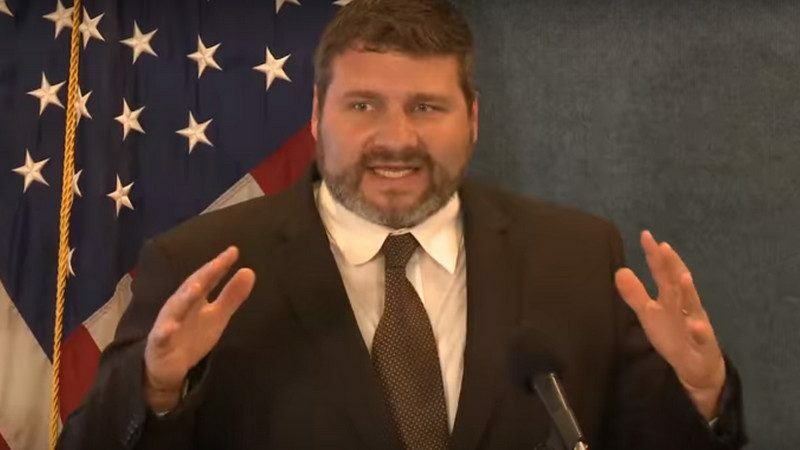 Anti-LGBTQ activist Matt Barber told American Family Radio listeners yesterday that the “uninfringeable constitutional right” to carry firearms is “as biblical as a shepherd boy’s slingshot” and claimed that Jesus Christ advocated for the Second Amendment. Barber subbed in as the host of “Sandy Rios in the Morning” yesterday and discussed the March for Our Lives rallies last weekend that attracted hundreds of thousands of people to support calls for gun law reform. “The uninfringeable constitutional right to arm and defend yourself, your family, your friends, your colleagues, and even perfect strangers—it’s not just as American as apple pie, as they say. Frankly, folks, it’s as biblical as a shepherd boy’s slingshot,” Barber said, referring to the biblical tale of David and Goliath. “David, a man after God’s own heart, used a weapon of war—at that time, a slingshot—in order to take down Goliath. And in response to the explosive global threat of Islamic terrorism, of communism—yes, it’s back in vogue, folks—socialism, communism, particularly among millennials thought it has failed everywhere in the world with over 100 million deaths. Boy, it just keeps rearing its ugly head,” Barber said. He went on to cite NRA executive vice president Wayne LaPierre’s speech at this year’s Conservative Political Action Conference, in which LaPierre warned that the Democrat Party was overrun with “saboteurs” with a secret socialist agenda. “Think about that. There’s Jesus advocating for the Second Amendment, the right to keep and bear arms, to defend your own house, to keep your possessions, not to mention your wife, your children, to keep them safe,” Barber said.